Just ask us, and we'll create something especially for you! 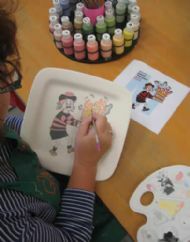 We are very happy to take commissions, either for one-off pieces of work, or for a set or range of pieces. The gallery below shows some examples of commissioned work we've produced; the possibilities are endless! We always start by discussing with you the occasion or person the commission is for, whatever ideas you may have about its design, and any touches or designs we think might work well. Our prices are very reasonable and it doesn't cost the earth. Just come and talk to us about what you're looking for, and we'll quote you a price with no obligation. Meg and her daughter Poppy share a love of the poem "Eternity" by William Blake. 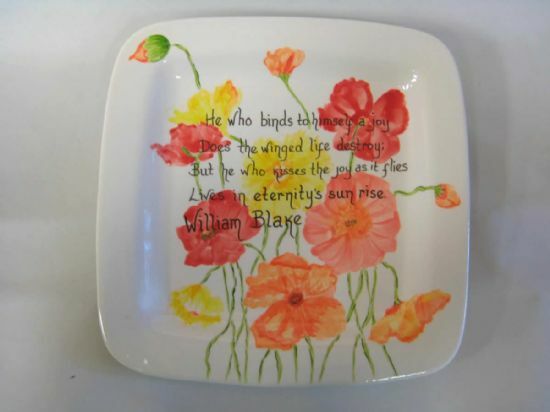 Meg asked us to produce a plate with the poem written over a poppy design, as a surprise gift for Poppy's 19th birthday. There were tears all round when it was unwrapped! Originally made for a cheese-and-wine evening we were holding, you'd be amazed how many people have since seen this cheese platter on display in the studio, and been interested in commissioning us to make one for them! 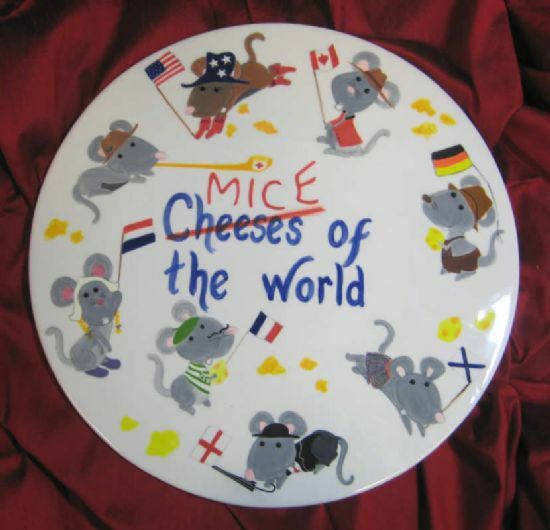 The platter was intended to display a range of cheese of the world - but then the mice came along and had other plans...! 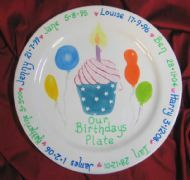 A family birthday plate is a lovely idea. Bring it out each time there's a birthday and use it for the cake; or maybe give it to Granny & Grandpa as a reminder of everyone's birthday dates.....! Henry commissioned us to produce this unusual piece for his parents' diamond wedding, to his own ingenious design. 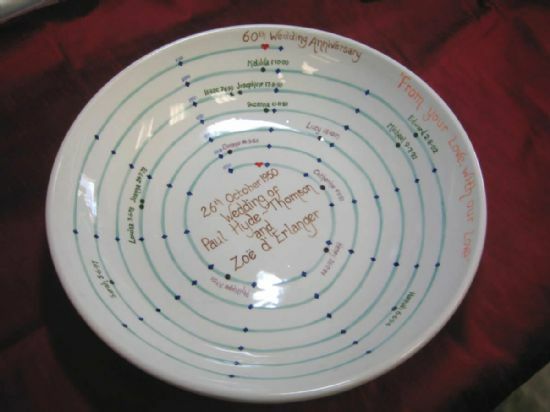 The spiral starts at the centre of the dish with his parents' wedding, and gradually unwinds to mark out the six decades of their marriage, including the birthdates of all the children and grandchildren born along the way.